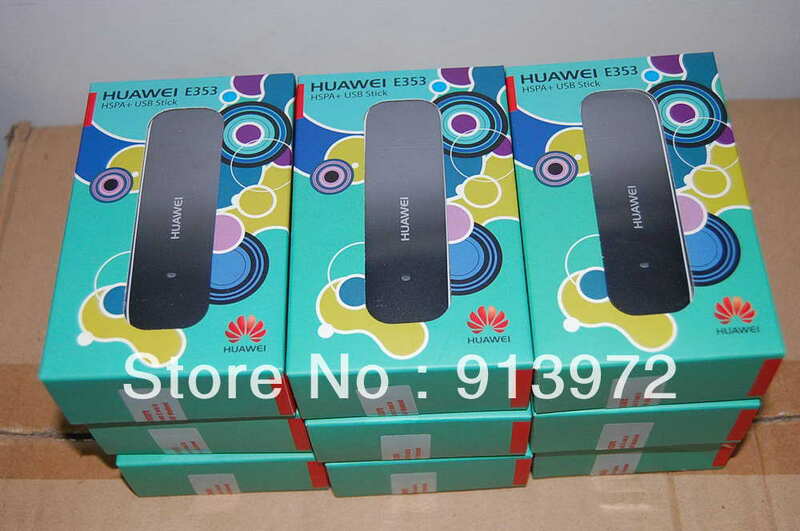 Huawei E353 3G USB modem, with max speed 21.6Mbps,with Huawei logo, original sealed package box, and 3G band is 900&2100Mhz. Unlocked Yes. ready to use with global services. no contract required. Network Bands 3G HSPA+ / HSUPA / HSDPA / HSPA / UMTS (WCDMA) - 900/2100MHz. 2G GSM / GPRS / EDGE -850/900/1800/1900MHz. Data Speed Download up to 21.6 Mbps, Upload up to 5.6 Mbps! Memory Micro SD slot up to 32GB. Antena Dual internal antenna. External antenna socket. Dimensions Size: 82 x 27 x 12mm. Supported Systems Windows XP, Windows Vista, Windows 7, Mac OS. Easy to use modem, Plug & Play. External antenna slot to improve the signal. Featuring Multi Language menu with 18 Languages to choose from.